Here’s what I am bringing to work tomorrow for snack Friday! 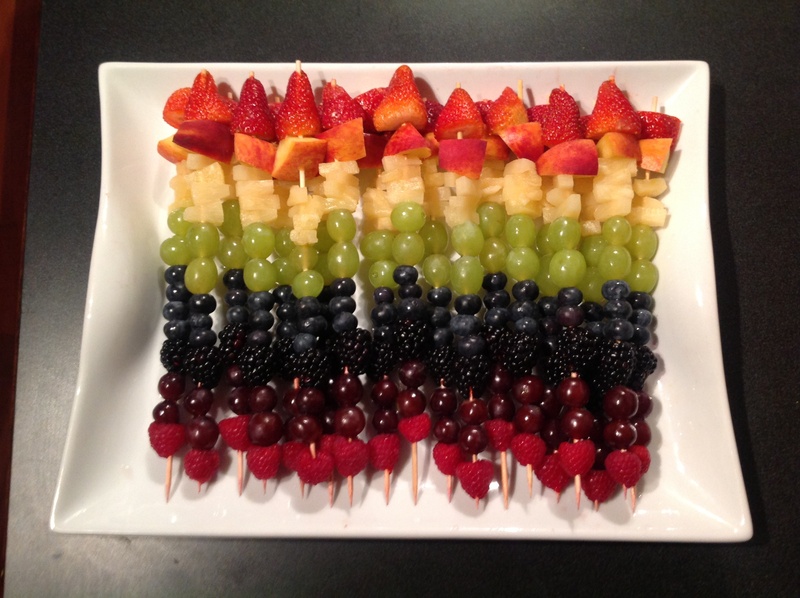 Healthy and beautiful treat option. Saw it on Pinterest and had to try it! strawberry, peach, pineapple, green grape, blueberry, blackberry, red grape, raspberry.